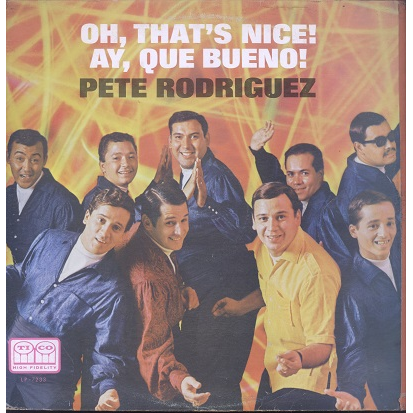 pete rodriguez - oh that's nice! 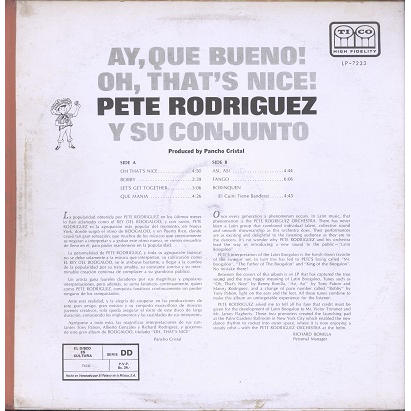 Classic Boogaloo album on Venezuelan pressing with orange/yellow Tico labels. Sleeve has seam wear and scotch repair of open side, some light ring wear otherwise looks nice. Writings on labels. Clean record with light scuffs, plays nicely!